I recently took a trip over to Wekiva Springs State Park in Apopka. I hadn’t been there in years, and I was very surprised at how many things there are to do there. Here is a list of 5 things my family and I enjoyed doing. Visit the Spring ~ Of course we do this! This is the main attraction of Wekiva Springs. The crystal clear water is spectacular. The swimming area is pristine. The water is very cold and takes a bit of getting used to. (72 degrees year round so guys prepared for major shrinkage) My son really enjoyed diving down into the spring, with the help of his goggles and fins. The rest of the family floated around in their tubes. I suggest bringing your own, but you can purchase them at the small store located next to the spring. There is a beautiful sitting area around the spring so be sure you bring your lawn chairs. I suggest making a day of it. There are a ton of picnic tables and charcoal grills in the area to have a picnic. One suggestion: If you visit on the weekend get there early. It is not uncommon for them to reach full capacity by 10AM on Fridays – Sundays. re to see wildlife. We saw, HUGE box turtles, birds, deer, squirrels and armadillos. Don’t forget to bring snacks and water is a MUST while hiking on any Florida trail. Camping ~ The Wekiva Springs State Park has 60 spacious campsites. Each wooded site has water and electrical hook-up, a fire ring with grill and a picnic table. Some have full hook up including sewer. As you probably know, my family loves to camp and we enjoyed the campground. Go canoeing/Kayaking ~ Canoeing on the Wekiva River is beautiful. This gives you the opportunity to see Florida at its best. The water is clear and you can actually see the fish swimming under you. If you don’t own your own canoe, you can rent one at the park. Actually, it’s what we did. It’s very inexpensive. For $20 you get 2 hours of canoeing and it’s only $5 for every hour after that. We did this twice and loved it both times. Wekiva Springs has done an incredible job at providing the ammenities to help you have a great time and enjoy all they have to offer. Fishing ~ There are two places to actually fish in the Wekiva Springs park. Sand Lake is the first spot we tried. It was actually a little bit of a hike out to the lake. Once we arrived at the lake, we didn’t find many places to fish that had much room to cast. My son is 10 and can cast fairly well, but not if there are a ton of trees around. The best place we found to fish is while canoeing. 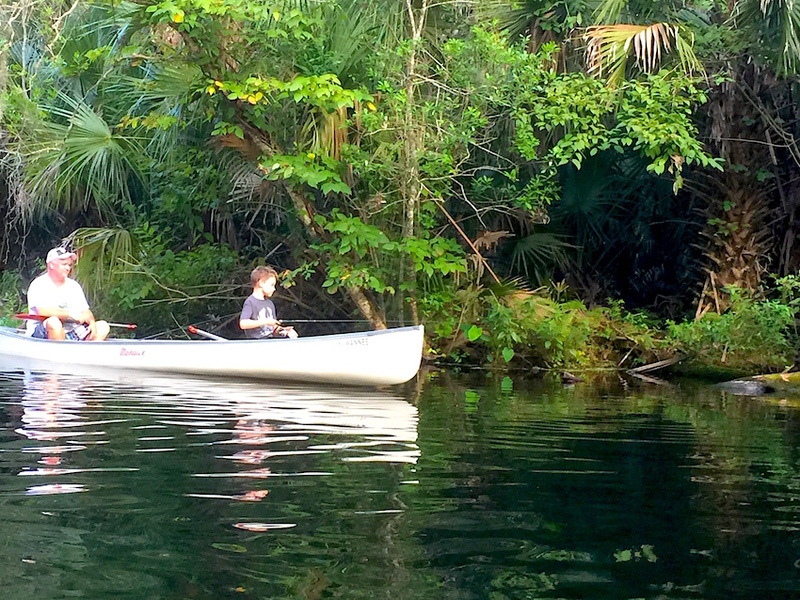 We fished for two days straight, canoeing up and down the Wekiva Springs River. My son caught two nice size bass, and my wife caught one. Me… not so much. But that’s ok, as I enjoyed watching my son catch them. Well worth the trip in my opinion. No gallery with the ID 11 was found or you have not created albums for it yet. 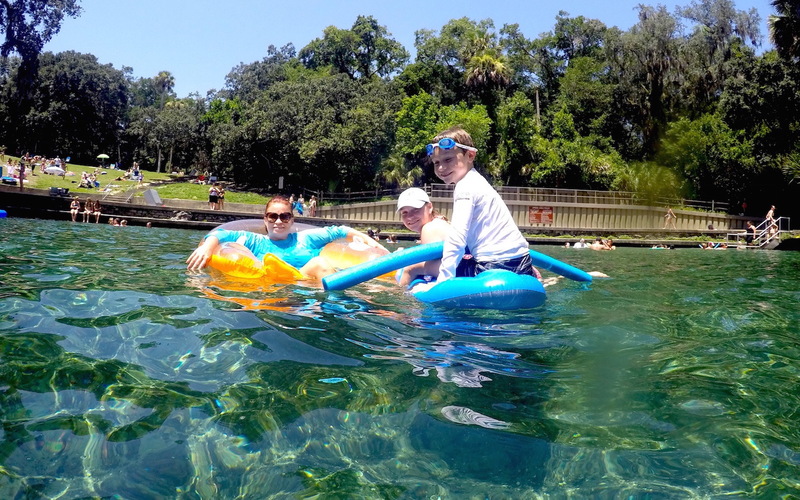 As you can see, my family and I really had a great time at Wekiva Springs State Park. With so many things to do, you will never get bored, and get to see the Florida beyond the theme parks. Anyone ever been to Wekiva Springs State Park? What are your thoughts? Pepper Palace is Hot! Fire Eaters Unite!